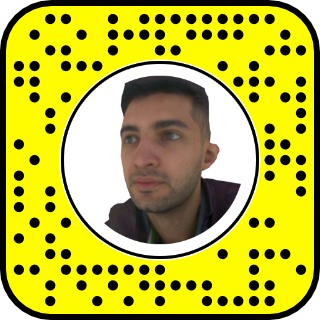 This Snapchat Lens showcases the ability to integrate real people into AR. To build the character we utilized an automated 3D body scanning booth equipped with four high resolution 3D scanners. The resulting 3D scan was then rigged and animated with Adobe Mixamo. We’re currently researching ways to transfer the persons actual behaviors and personality on to the character. Tap the 🔘 button (or press and hold it) to capture a Snap like usual!